One of only 2 - 2BR condos at Capri by the Gulf, this recently updated condo has all the comforts of home, with the beach in your back yard! Come on down and get away from it all in this recently updated condo! This complex has a pool, clubhouse, and tennis courts, not to mention being just a minute away from the Snowy White sands of Crystal Beach! Easy walking distance to 2 restaurants! Come get away from it all and relax in this updated and comfortable condo. Crystal Village is located in the heart of Miramar Beach and is only a short walk to the beach! Several restaurants are within easy walking distance too! Located on the beautiful Seacape Golf Course, this updated condo boasts super views and lots of peace and quiet! Enjoy coffee on your patio or the many other amenities available onsite! Saturday to Saturday rental during the Peak season. Located in Seagrove Beach, Beachside Villas is one of the many hidden gems on the beaches of South Walton. This recently updated condo is located near one of the 2 pools in the complex and just steps away from the sugary, white sands of the beach! Located in the middle of the complex, this condo is just steps from one of the 2 pools, the tennis courts, and of course The Beach!!! All the conveniences you need, and you can bring your approved pet with you too! The Parrots Nest @ Seagrove. 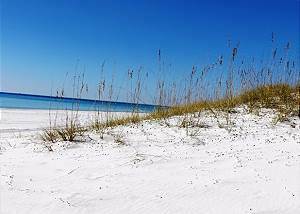 Come experience the 30A life in a 2BR/2BA vacation property at Beachside Villas. This recently remodeled property will quickly become your go to place on 30A! Saturday to Saturday rental during the peak summer season.